Batting Tape-1.5" X 10 yrds. - going batty! Batting Tape-1.5" X 10 yrds. Home / Batting Tape-1.5" X 10 yrds. No need to sew batting edges together anymore, you can fuse it. Developed specifically to fuse batting together, to enlarge or reinforce. 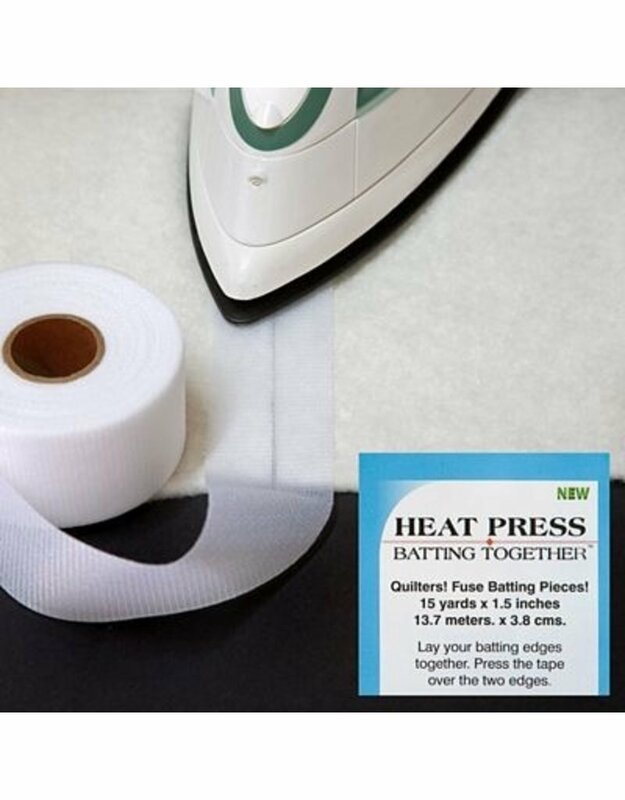 This 1-1/2'' wide cloth tape allows batting edges to be fused together with a soft fuse that stretches. 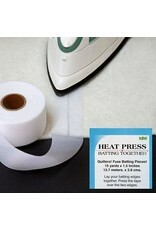 It eliminates hand or machine stitching when extra batting pieces are needed to fit a specific project. Can be used on any type batting. Does not shrink or bulk with washing.